SPENCERのPV完成!! / We finished SPENCER's Music Video!! 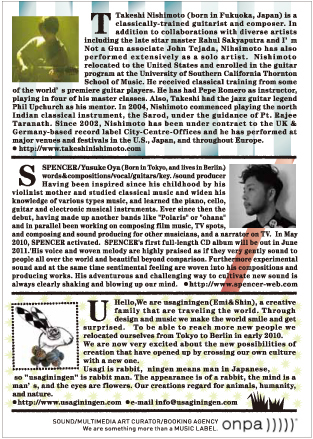 We made the music video for SPENCER who is a japanese musician living in Berlin. 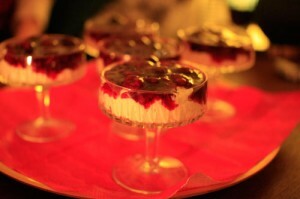 Very much enjoyed to make it!! we were really FUN FUN FUN!! Here in detail. but SORRY only in Japanese. 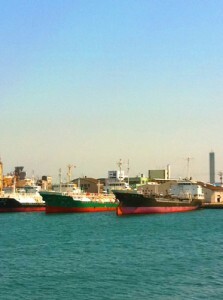 went to Honjima island where close to we r staying. 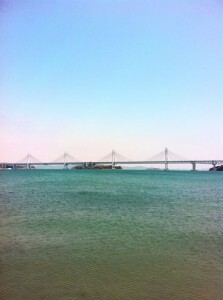 We saw Great Seto Bridge from the ship. 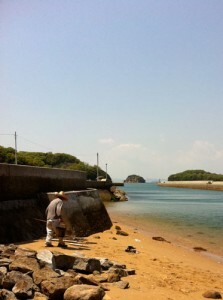 about 600 people live in this island. 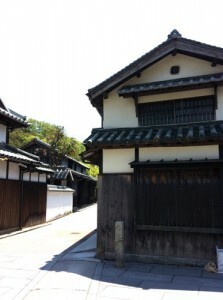 there are　some Japanese old style house. 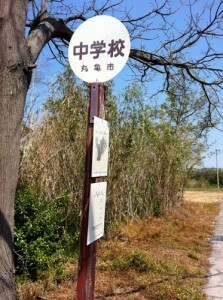 We found very simple style Bus stop which are written only name of Elementary school and Junior high school and the number of students are only 14. wow! very very beautiful blue sea. 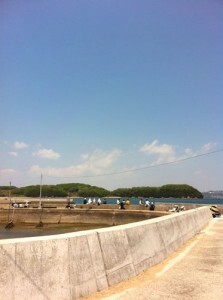 The tourists ate lunch at the small port with enjoying the sea smell and view. He lives in this island. whats he starting?? 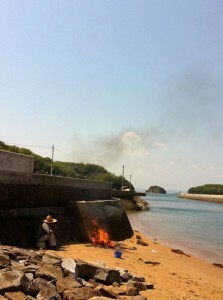 He burnt the woods on the beach. 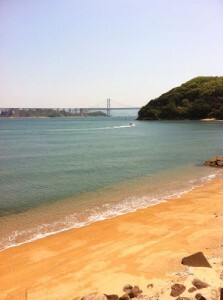 this is like a his beach!! I want too very much!!! but we felt many many interesting, important things as you could imagine. this man is also one part of them. JUCO.の展示会。/ went to JUCO. 's exhibition. went to JUCO.’s exhibition in Osaka. we got the new shoes that were from last collection. This is fluffy earmuffs. 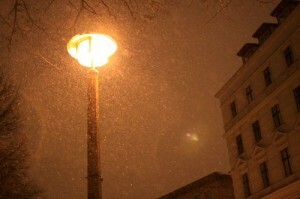 my favorite in Berlin winter!! 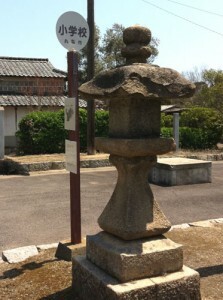 We stayed with some friends at Juco.’s parents house in Nara. was so so FUN like a school trip!! 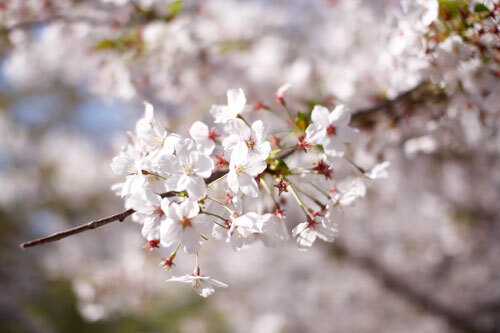 A lots of cherry blossoms bloomed in Japan. We are very very happy to see it. JUCO.’s ’11-’12 Autumn&Winter collection is opening soon!! 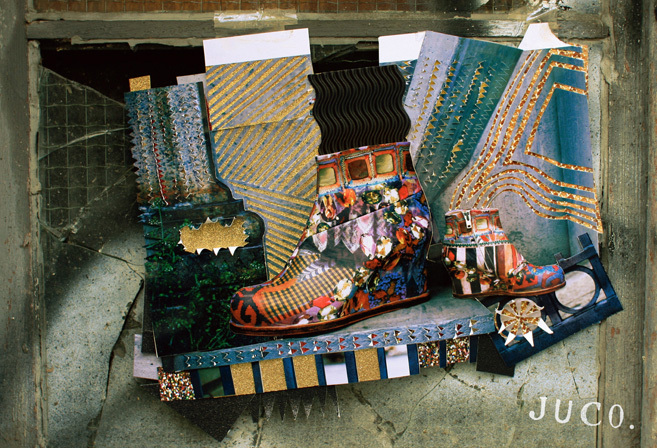 It’s very nice and individual design of JUCO.’s shoes. We made the poster & flyer. 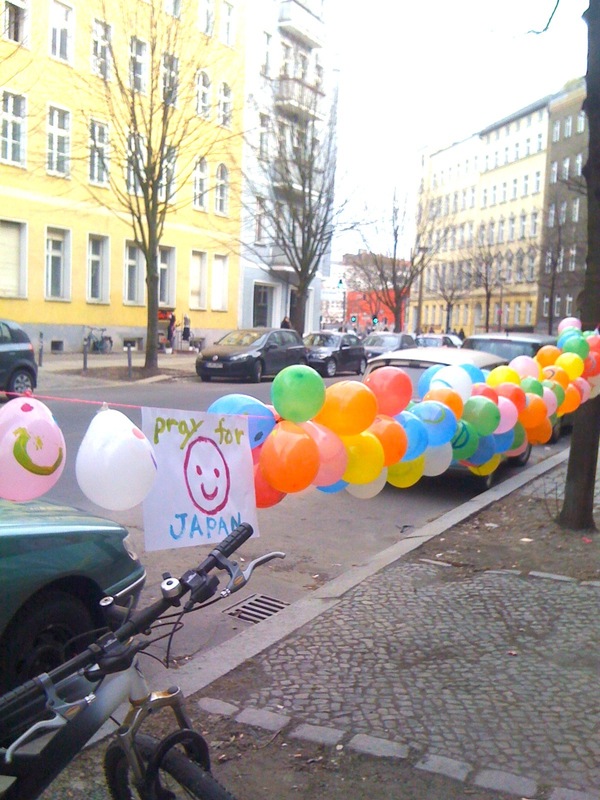 We did first time to make it that Long-distance production Tokyo and Berlin. make shoes: JUCO. 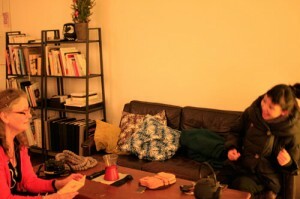 in Tokyo → shooting : Shinichi Masumoto in Tokyo → art works : usaginingen in Berlin. please drop if you r around!! 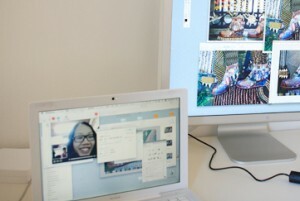 had a Skype meeting with JUCO.. The commercial film of the open university won a bronze prize on Asia Pacific Advertising Festival 2011 which I made music. Thanx all crews!! Check the bottom of the link. 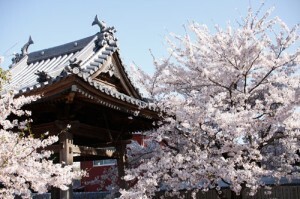 We are visiting Japan for about one month. It took 30 hours from Berlin to our parent’s house. 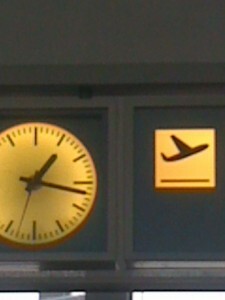 went to the Hambrug airport from Berlin by train. 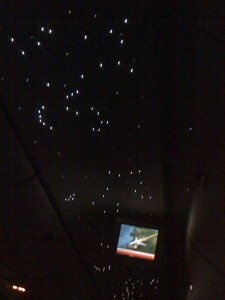 we enjoyed the night lights on the plane..
arrived at Kansai airport in Japan! 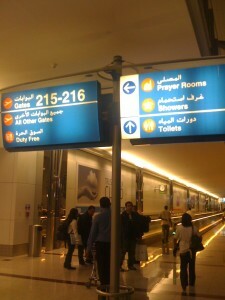 our trip was not finished yet.. It is four and a half hours on a bus from there to Kagawa. What was waiting for us…. 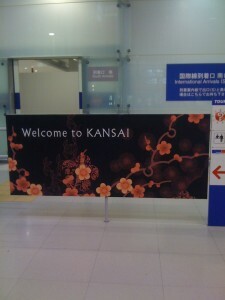 We return home after 14 months’ absence in Kagawa. 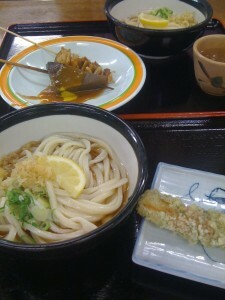 We found it very good to came back to Japan in this moment!! We are feeling very clear everything now so. 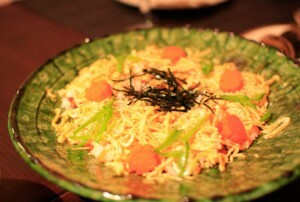 やっぱりこれでしょっ　It’s Special food in Kagawa. 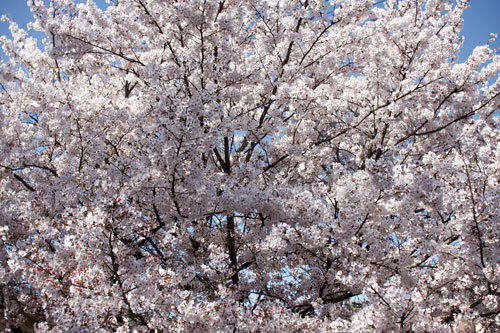 in Anbetracht der tragischen Ereignisse in Japan haben wir uns schweren Herzens entschlossen, unsere für den 25. März geplante Veranstaltung bis auf weiteres zu verschieben. Wir bitten diesbezüglich um Ihr Verständnis. Sobald ein neuer Termin für “Chanoma” gefunden ist, werden wir Sie benachrichtigen. Unsere Gedanken und unsere Anteilnahme gilt den Opfern der Katastrophe und dem gesamten japanischen Volk. So first, sending “SMILE” to Family , to Friends and Everyone who look this blog. The first live in Berlin!!! Please understand that the number of participants is limited. Registrations will be accepted after date of receipt and confirmed by email that we ask you to bring in printed form on that day. 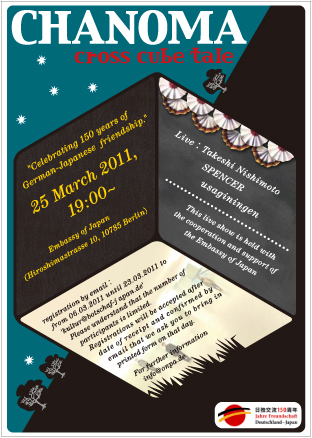 usaginingen will do visual performance!! Let’s have happy time together!! ベルリン生活1周年！/ Our first anniversary in Berlin! We have been in Berlin over 1 year. I had a full life, enjoying every day!! 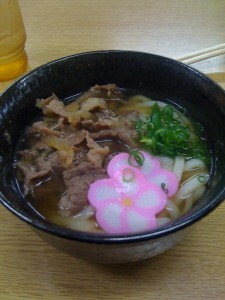 I’ve found good things about Japan out side from Japan. 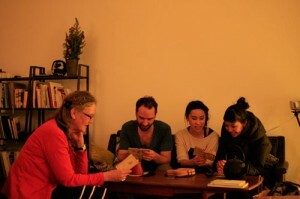 I’ve found good things about Berlin life such as natural life and human being. We pretty like this city. We decided to live more!! And do more challenge. 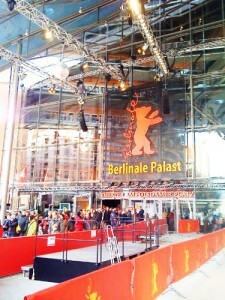 Its Berlinale’s season (Berlin International Film Festival) !! We saw 『Tales Of The Night』, its a French 3D animation film. was nice film!! 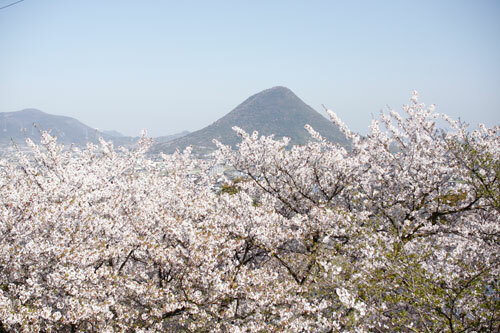 We will be in Japan from 04.Apr to 22. Jun. Its a bit long stay ‘cause have some surprise. We’ll notice you soon!! We’d love to meet to friends!! It’s cold everyday, Be careful do not to catch a cold. How are you?? We hope you everyone doing well!! 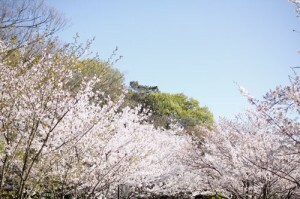 In these days we’ve been busy and lazy for blog… but we two are very fine. 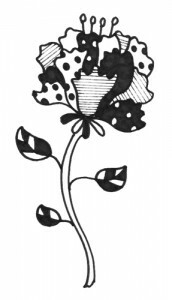 Well..though a little too late, we are sending one flower with big hug on valentine’s day. The Christmas tree is displayed from Christmas to New year in Germany, When Christmas finish at 12/25 and the town is changed new year mode in Japan. 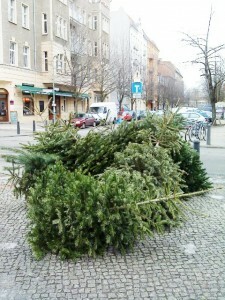 The finished tree is thrown away on the road. is this truth that in Germany people throw away it from window ?? there are a lot of trees on the road. Then the tree collecting car comes to pick them up!! It’s interesting! we uploaded some songs!! check it!! 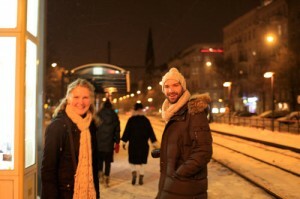 That was our first time new year in Berlin. we really enjoyed a countdown party. We were at the friend’s flat where we can see a whole view of the city. Everybody set off fireworks from their house, parks and roads everywhere. It’s very dangerous but our rooftop was safety even though nice view. very much impressed by this first experience. That’s the most special count dawn of the new year. 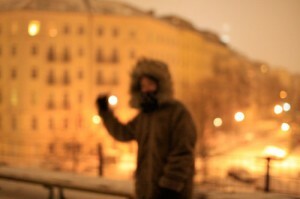 We came Berlin and lots of meetings last year. I wish it will be advance year this year. 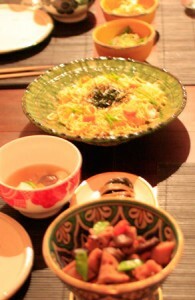 I love Japanese style new year. 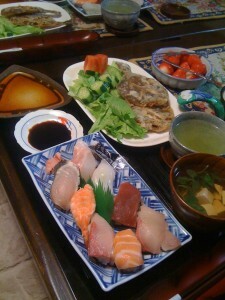 This is Japanese new year foods. This makes me feel that we are in the new year. 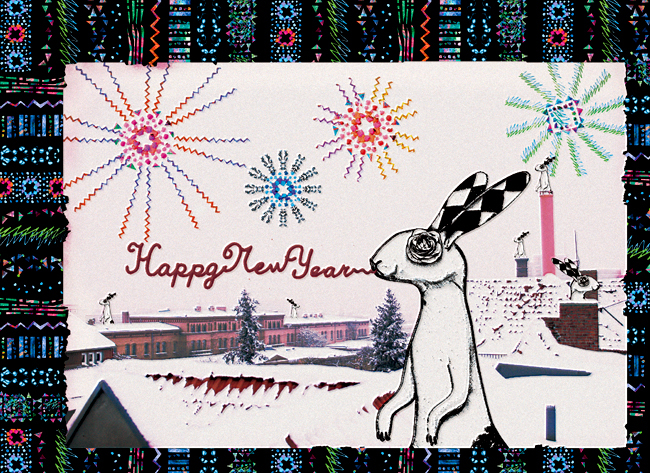 May the New Year 2011 turn out to be the happiest and the best for you. 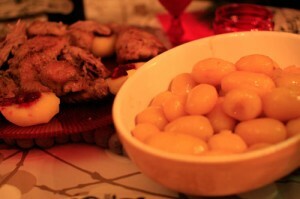 one of the most important event in Europe likes Japanese new year. 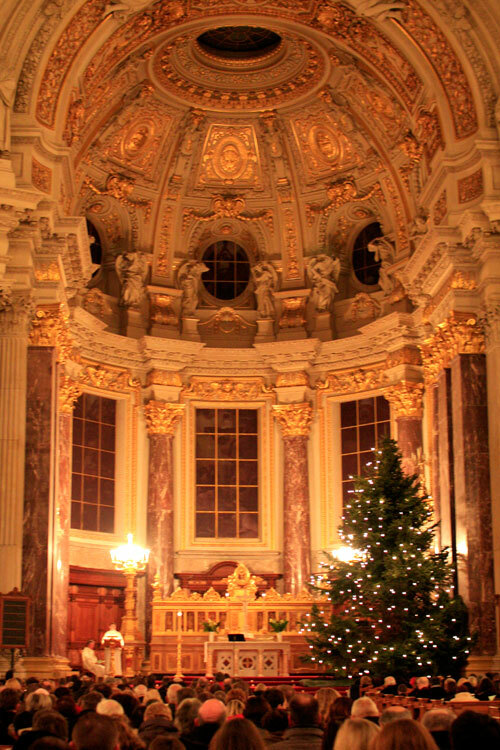 I went to the mass at the Berlin Cathedral on Christmas Eve. the Cathedral was full. we sang Christmas songs. 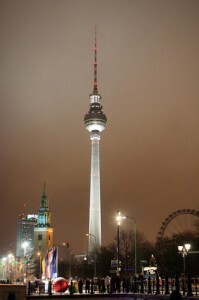 Fernsehturm Berlin is beautiful in winter, too. 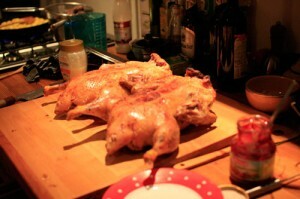 We were invited a Christmas dinner by Lasse & Shino. we met in Berlin, They really really take care of us. we are taken care by them. 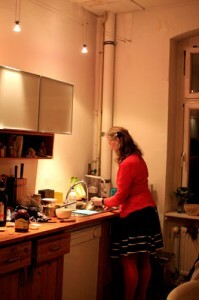 Lasse’s mum came from Denmark and She cooked dinner. She is very funky and lovely mum!! 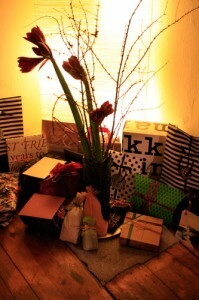 The presents are opened at night of 24th. so they are displayed till then. 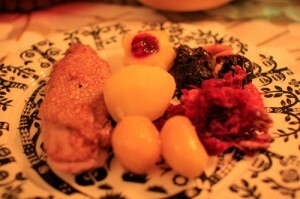 Long awaited Denmark-style Christmas foods ! ! 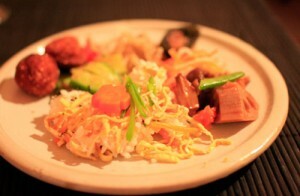 the Christmas dinner of Denmark is same dishes every year like Japanese new year foods. 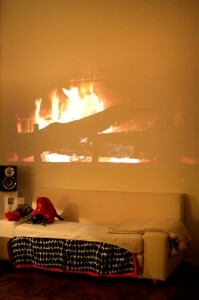 after the dinner we watched Disney film “fashion cat”. It seems to be annual event to watch old Disney movie. Lasse and mum laughed very much while watching the film. . they laughed only by a cat sinking and a car running. I didn’t understand it but enjoy it. Really really happy Christmas. 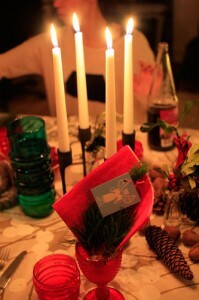 my first Christmas was Denmark style in Germany. it was about time to go home…we put on the coat. “haven’t you sung about enough” Lasse and Shino were leaving. but mum seemed to be still unsatisfactory. . I don’t know Danish, but we sang together. her song was not over..